I'm a bookworm. Always have been. Always will be. Therefore it makes perfect sense to me to turn to books to help me lose weight. I've started these books a few times, but am starting them again. I know I have a SparkFriend or two that have gone through these as well; how was the experience for you? Have you finished either or both books? I am seriously contemplating doing my writing for both of them on my blog here. I want to get real with myself, but I want to also inspire others. Or does that sound too hinky? These are two of my favourites. The Course in Weight Loss is pretty intense... 21 lessons to do, meditate and reflect but unless I missed something and that is what I am trying to figure out this time around... MW does not deal with the food at all. The writing diet is great to get into the habit of walking every day and the writing topics are good (although I found MW's topics much more real for me). 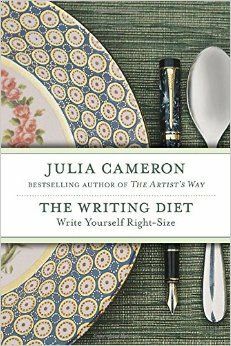 I think that the 7 tools of the writing diet too taught me a lot about myself and my ways of eating - or ways to avoid overeating... To do both at the same time would be a full time job, lol. I felt like Julia Cameron could have written a pamphlet and I got the ideas pretty quickly. I did not think all the exercises were clear so it was nice to have team to decide what they really meant. Good for keeping me on track. 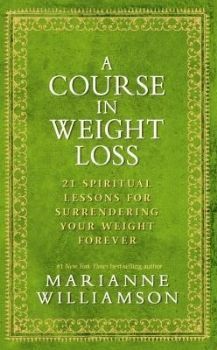 Marianne Williamson's exercises.. well as I said i am doing the book again because there is SO much there for me. So what are you going to do? I'm happy to support you!